Federal requirements are put in place for each car manufacturer to equip their rides with air bags to ensure safety. However, recent fatal accidents have reintroduced the common debate of whether or not air bags should be required in vehicles. Yes, they provide motorists with enhanced safety in most cases, but recent air bag malfunctions have led to federal government intervention. As manufacturers rush to evolve air bag technologies to avoid these random and extremely dangerous malfunctions, many are wondering whether or not they are safe in their vehicles. 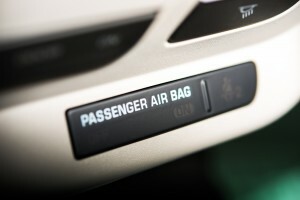 In most cases, air bags provide all motorists inside the vehicle with enhanced security, however, the rules must be followed. This means not putting any children, infants, or pregnant women in harm’s way of an air bag and driving with caution at all times while eliminating distractions. When you drive with a safety first mentality, you can anticipate chaos and act in a safe manner. Contact VGW Walker Insurance for all of your Texas auto insurance needs. When it comes to injury prevention and auto insurance, we will go above and beyond to ensure you are receiving the protection you deserve.